Being a Montessori parent, I want to give my children the opportunity to engage as fully as they are able in practical tasks. This includes getting dressed and other forms of self-care. 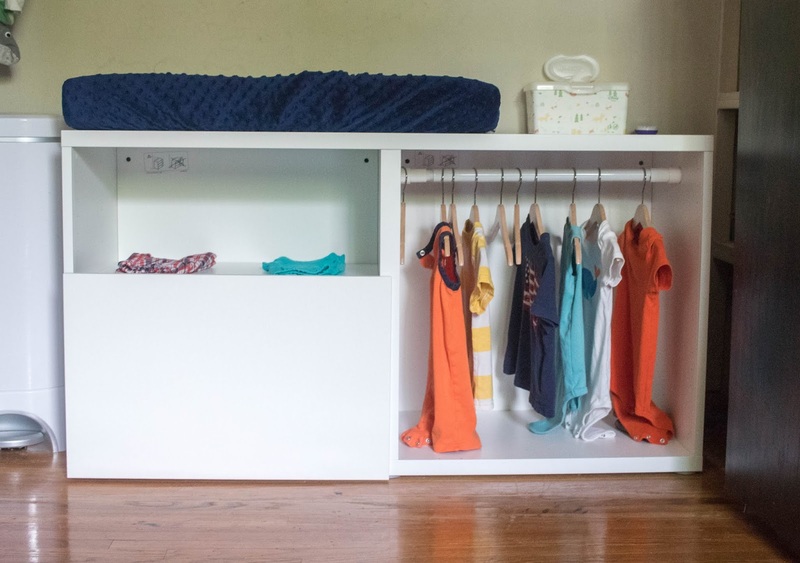 Preparing the environment is key to giving children this type of independence. Part of that environment is the number of materials we provide. I've talked about the importance of not having too many toys, but clothes have been a harder area for me. In the past, we've ended up buying way too many choice, then people have given us clothes and we end up with an overwhelming number of things. My kids notice. They have a harder time picking outfits and getting dressed independently. And, many of the clothes go unworn or ignored. So, this season, I'm changing course - we're going capsule! I tried this with Gus this past winter and now I'm doing it with all the kids. A capsule wardrobe is when you buy a very small, coordinated, and intentional wardrobe. The pieces are classic and flexible so that you can make several outfits from the same pieces. 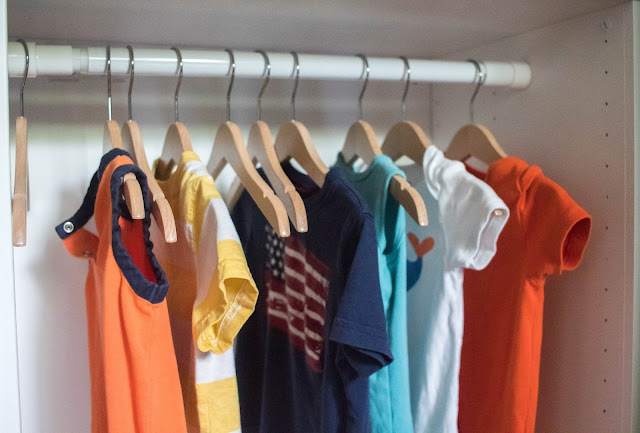 The exact number of clothes for us has varied some depending on which child I was buying for. But, I went with around 8 tops and 5 bottoms for each. Fewer purchases - I could buy fewer things which gave me the freedom to buy nicer clothes without spending more money overall. Plus less waste in the end. Less laundry - there is just fewer things that need to be washed so daily laundry isn't a huge struggle. There have still been some areas that have been a bigger challenge for me. Laundry - now, I added this as a positive too. But, last week we all had the stomach flu and I couldn't keep up with daily laundry - which literally meant there was nothing to wear after a few days. Bathroom accidents - I definitely underestimated the number of bottoms I needed for my child that still has accidents, so I did have to add a few extras. Overall, I'm really happy with this system! But that doesn't mean there haven't been adjustments. I think we will stick with this for a long time. 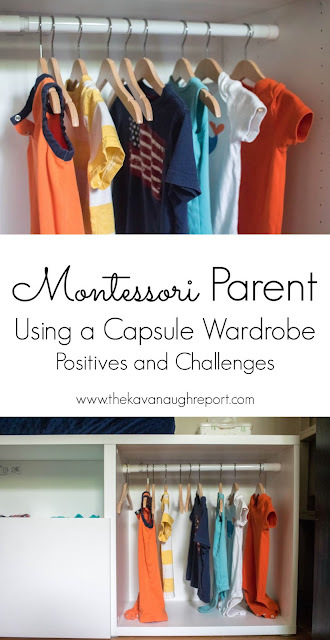 If you are struggling with independent dressing, an overwhelming number of choice, or simply just creating a Montessori space, a capsule wardrobe is a great option to consider! Have you tried a capsule wardrobe? What did you love? What were your challenges? How do you display/store Gus's pants? Been brainstorming ways to get my 1 year's clothes down to his level. I fold them in a pile, the blue thing on the left is a pair of his shorts, usually they just sit there. You could put it in a basket but Gus tends to just empty baskets so I left it without. I find shopping through primary.com makes it easy to put a capsule style wardrobe together. Nice quality and great colors to mix and match.